Bring home the all new Micromax 40T2810FHD light-emitting diode TV which masters in offering true to life audio and visual quality. This AVEA technology aims at providing corrected image quality with extraordinary video and crystal clear audio. Experience a whole new world of entertainment with Micromax LED TV. 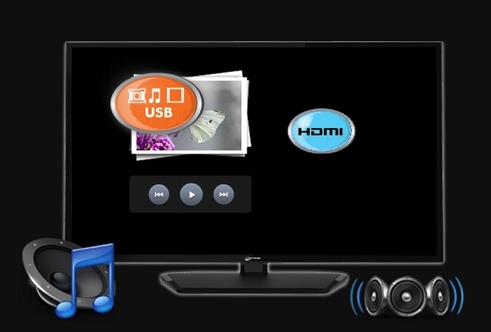 Connect your USB drive or HDMI compatible device to play content directly from your external storage device. It is possible because Micromax has been designed with 2 HDMI and 1 USB port. You simply need to connect and play the content of your choice. The Zero Dots LED panel is a Micromax specific feature that is capable of providing crystal clear image quality. Watch your favourite movie with bright colours and accurate contrast. With its qualitative performance, it is surely going to increase the level of entertainment. The video or audio quality is not sacrificed while giving you the best picture quality. This light-emitting diode TV comes with a resolution of 1920 x 1080 pixels which delivers full high definition video output. It has a refresh rate of 60 Hz and a wide viewing angle of 178 degrees. Wide viewing angle makes the TV easier to watch as it brings even colour tone and brightness from all the viewing angles. You will not experience any colour lose or contrast error. It has a 5 band equalizer which plays quality audio. 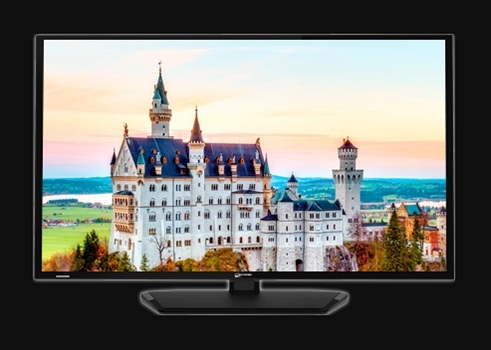 This 101 cm LED TV is an unusual combination of style and features! With the feature of Audio Visual Entertainment Architecture, Micromax 40T2810FHD LED TV offers refined picture quality with amazing clarity. This technology is usually referred to as AVEA which is responsible of advanced picture refinement so that it can easily deliver an incomparable performance. 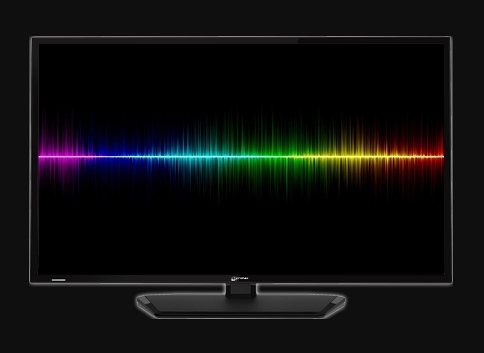 In comparison to standard TVs, this light-emitting diode TV works in a better way while offering lifelike audio and video. Micromax 40T2810FHD is expert in providing true to life picture quality with its proficient 1920 x 1080 pixel quality that offers full high definition output. With this 101 cm LED TV you can now enjoy watching your favourite movies, music and videos in lifelike picture quality. It has a super dynamic contrast ratio of 5000:1 that delivers crystal clear picture quality of the on screen image. Now enjoy watching you’re your favourite shows and movies with your friends and family in full HD. 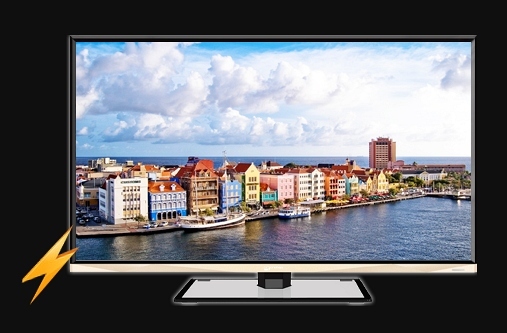 Micromax 40T2810FHD LED TV has been designed with zero bright dots light-emitting diode panel. This feature allows you to watch crystal clear picture quality without any noise. Experience bright colour and accurate contrast with Micromax as the feature will only let you watch clear picture performance. Notice even the smallest details of the on screen image with the 100% zero bright dots technology. Micromax 40T2810FHD has been designed with SRS surround sound system that aims at providing unparalleled audio performance. Listen to your favourite music or audio with incredible audio with the help of surround sound. It will raise the level of your audio experience. Also, the audio will sound more true to life. Not just this, you can now modify the background sound as per your suitability with its 5 Band Equaliser. Do you like saving your downloaded files in external memory drives? 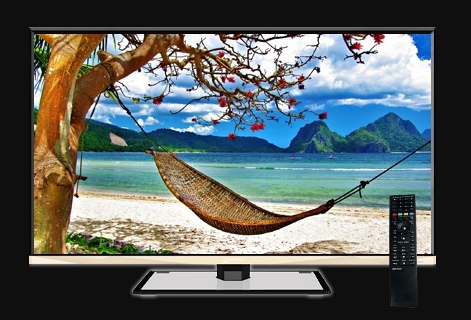 If yes, then Micromax 40T2810FHD LED TV is the right choice for you. It can easily play media content stored in your external device. Play media content via USB connectivity or HDMI cable. To make this work, you simply need to connect the smartphone to the Micromax LED TV. You can state a connection through the HDMI cable or through the available USB port. You can connect your smart phone, memory stick like a pen drive, USB memory stick, etc. to play content from your USB device. Along with this you can also copy files from your personal camera, camcorder, laptop etc. using the 2 HDMI ports and play the content of your desire. The Micromax 40T2810FHD LED TV consumes lesser power consumption in comparison to conventional LED TVs. It is built with Audio Visual Entertainment Architecture technology which consumes comparatively low power supply. The classic usage power consumption is 65 Watts with a standby consumption of less than 1 Watt. With such low power consumption, this light-emitting diode TV proves it to be an eco-friendly device with high efficiency. The Micromax 40T2810FHD Light-emitting Diode TV is a package of incredible features for your convenience. It comes overloaded with useful accessories to heighten the level of your entertainment! Pre-packaged accessories contains: Remote Controller, Wall Mount Support, Quick Installation Guide, User Manual and Batteries for the remote controller. What is Installation & Demo? Standard Installation and product demo are free services provided by the brand service team, subject to conditions. The authorized service engineer will install your TV on a wall mount or table top. As part of demo, the service engineer will check all ports & demonstrate TV's features and settings.